Superdry men's Track & Field lite tri t-shirt. This t-shirt features a crew neck, short sleeves and textured logo graphic on the chest and sleeve. 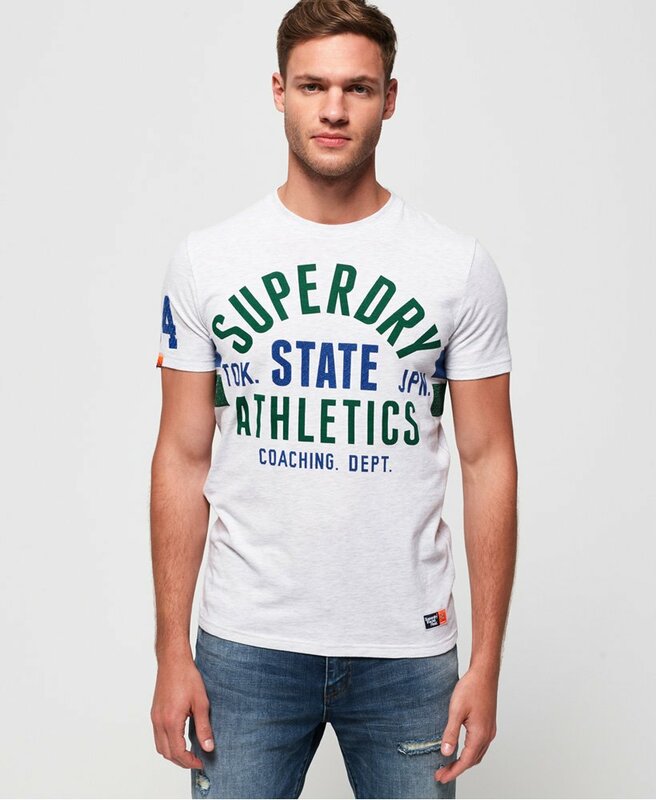 Finished with a logo badge above the hem, the Track & Field lite tri t-shirt is a great update for your wardrobe this season, pair with everything from jeans and joggers to shorts and chinos.